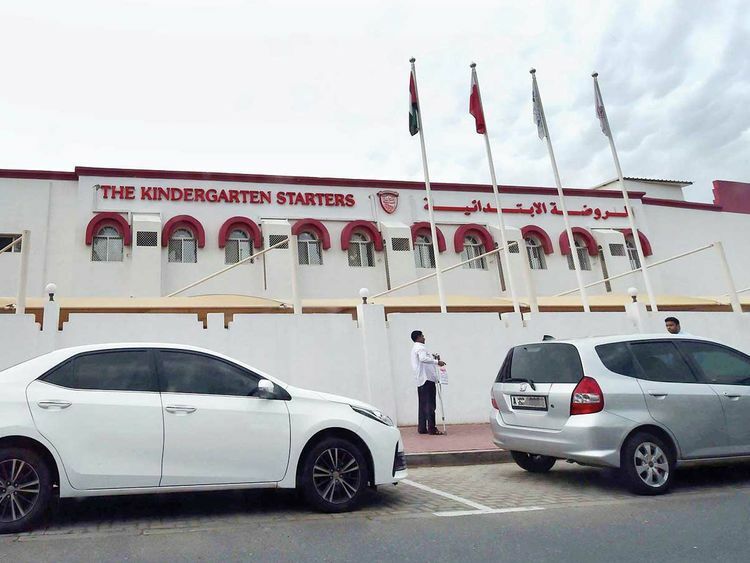 Dubai: An outbreak of fever and vomiting that forced the closure of a Dubai primary school this week has been blamed on gastroenteritis, the Dubai Health Authority confirmed in a statement to Gulf News on Wednesday. Kindergarten Starters in Garhoud, an Indian curriculum primary school with 5,000-plus students up to grade five, was closed down for two days on Wednesday and Thursday (April 10 and 11) this week following a bout of vomiting and fever among at least two dozen students who had been exposed to a sick classmate on Tuesday April 9. The Dubai Health Authority were quick to allay fears among parents with their statement issued Wednesday. “The DHA has completed the investigation from the site and has found that it was caused by self-limiting gastroenteritis, which is a common occurrence in children related to hand hygiene and is not life threatening,” the statement read. The majority of the sick children have recovered at home and some are on anti-viral and antibacterial medications as a precautionary measure. Those who are still feeling unwell are being further tested. Blood samples of those affected were taken for testing to confirm the cause of the outbreak. In the meantime the school has advised parents to keep sick children at home until April 14 and until the doctor gives them the all clear. Other schools are now sending out circulars to parents advising them to keep their sick children at home if they show symptoms of fever, coughs or colds. Ashok Kumar, chief executive officer of Indian High School, the junior department of which is next to the affected school, said they were in the process of issuing a similar circular. Ashok Kumar, chief executive officer of Indian High School, which is next to the affected school, said they were in the process of issuing a similar circular. Dr Al Sherif Omar Shafie, a general physician at American Hospital Dubai has called for more sophisticated tests to detect viruses that may affect children. “Dubai has the unique position of being truly international with people from both hemispheres visiting year round, so we have exposure to all kinds of viruses. Effectively we need to have a separate summer and winter vaccine to counter different viral strains,” he said. PCR tests are however offered by few hospitals and are very expensive at Dh1,400 and are usually not covered by health insurance, so doctors rely on old conventional techniques and do virus scans as well as bacterium cultures to get wide ranging results, which can waste time. Dr Shafie commended the school’s decision to close for two days. “That will keep the kids out, but it might be temporary as influenza B especially requires deep cleaning with bleach based agents to eliminate the virus. Normal disinfectants might not be effective,” he added. Dr Shafie also pointed out to the challenge of treatment since only two viral medicines are largely used — Accolyvir for the Herpes Virus and Tamiflu for influenza A and B. • If your child has fever above 37.8 degrees in the last 24 hours, he or she must not be sent to school. Parents usually give paracetamols and even if the school nurse was to check it on her thermometer the fever will not show. But the infection would be raging within. So parents need to set this 24-hour deadline without paracetamol and if the child shows fever, then school is a no-no. • Students could wear face masks which provide limited protection as they are thin and get damp soon with cough and sneeze. “If children are taught to cover their mouth and nose when they sneeze, that might be more effective. However, soon after touching the droplets of saliva, students must be encouraged to go to the washroom and effectively wash away the contamination. Soap and water is the most effective method to maintain hand hygiene and only use sanitisers when one cannot get soap and water. • Hand hygiene must be thorough. Teachers must encourage the students to wash their hands as soon as they start class in the morning. Soap needs to be scrubbed on the palm, fingers, finger nails, in between fingers and then thoroughly rinsed and hands dried. This activity must be done at least three times, especially before afternoon meals as well. • Building a strong immune system is key to countering infections and children need to get at least eight hours sleep during normal healthy days. Sleep heals while sleep deprivation makes children and adults susceptible to contracting viral infections. • Provide children healthy, wholesome nutrition with plenty of fresh fruits, vegetables, nuts probiotic yogurts to build a strong immune system.